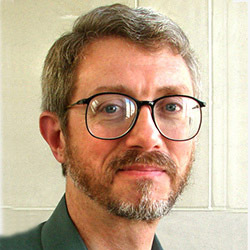 EECS Associate Professor Jack Tumblin currently pursues topics in computer graphics and computational photography. Funded projects (NSF, Samsung, Adobe, nVIDIA, Mellon) include novel photographic sensors, optics, and lighting devices; image representations for scene capture, rendering and display; and low-cost self-contained systems to help museum curators explore, archive, and share more of their vast collections digitally. Paris, S., Kornprobst, P., Tumblin, J., Durand, F., “Bilateral Filtering: Theory and Applications,” Series: Foundations and Trends® in Computer Graphics and Vision 4(1), pp. 1-74, Editors Brian Curless, Univ. of Washington, Luc Van Gool, KU Leuven and ETH Zurich, and Richard Szeliski, Microsoft Research. September 2009. Mohan, A., Raskar, R., Tumblin, J. “Agile Spectrum Imaging: Programmable Wavelength Modulation for Cameras and Projectors” Computer Graphics Forum, March 2008, Vol. 27, no. 2, pp. 709-717. (US, EU patents).